The Style Tribe Guide to 2018: Which One Were You in? As anyone who has attended will know, fashion week is akin to a safari. All manner of species gather around the watering hole every four months to plume their feathers and size each other up—and, of course, there's the mandatory gaggle of tourists snapping away, hoping to catch a glimpse of the creatures in their natural habitat. If you stay quiet, you might just be able to hear the tapping of their kitten heels hitting the pavement and the gentle rustle of their tulle midi dresses as they step into their chauffeur-driven cars. Yep, it's a wild, wonderful fashion world out there, and over the course of 2018, we observed the comings and goings of these fascinating creatures, documenting their every move and making notes of their seasonally changing coats. The result? A definitive guide to the seven style tribes that dominated the last 12 months. Some you can probably guess (anyone for "old" Celine? ), while others might not be so obvious to the untrained eye. So get out your binoculars, put on your safari gear and prepare to immerse yourself in the fashion fauna and flora. Scroll down to see the style tribes that ruled the animal—I mean, fashion—kingdom this year. Never seen without their partner in crime, this style tribe tend to hunt in packs of two, and are adept at imitating each other's movements—in other words, they've got complementary dressing down to a tee. From Flanna (Florrie Thomas and Anna Vitiello) to Ressie (Reese Blustein and Jessie Bush), these girls are the embodiment of "three's a crowd." With the '90s making a storming return to our wardrobes this year, Carrie Bradshaw became the style icon du jour. Prints were mashed up, high-end pieces were mixed with low-end ones and strappy sandals were proliferated—it was a veritable feast for the maximalist dresser. Emili Sindlev, Slip into Style and Maren Schia, we're looking at you. Did someone say maximalist dressing? Yes, that's right—lamé, shoulder pads and power suits are the names of the game when it comes to the wardrobes of the '80s throwback gang. Helped along by the fact that every party dress this season had a good dose of Pretty in Pink, this style tribe are experts in the art of power dressing. So we might be stretching the notion of a style tribe for this particular category, but you can't deny that in 2018, the term "glamourpuss" was taken quite literally. From AnneLaure's snow-white cat, Loulou, to Hannah Almassi (our editorial director)'s sassy British blue Folly, these felines know their best angles and don't care who knows it. When your dress matches the loo wallpaper you have to be a little bit extra. If you didn't take a photo of yourself in the toilets of Annabels, were you ever even there? With its elaborate wallpaper, blush-pink sinks and flower-carpet ceiling, this room is the epitome of "extra." Anyone who was anyone got a snap of themselves reclining on the chez longue or reflected in the ornate mirrors. In stark contrast to the "old" Celine devotees (see below), this joyful fashion clan loved nothing more than throwing on the pinkest, most tulle-covered, pouffy gown they could find. 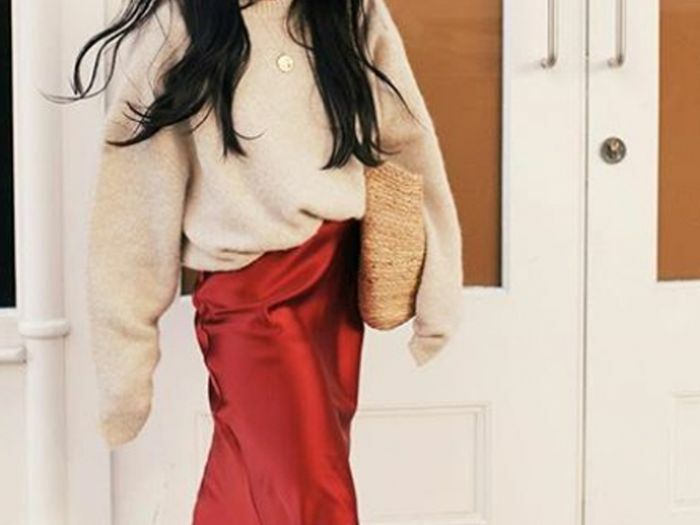 It's all about channelling your inner 5-year-old, so expect plenty of sparkly earrings, fluffy bags and princess sleeves. Never knowingly not on a sun lounger, the feeds of these fashion bloggers are punctuated (read: smothered) with sun-drenched beaches, white cotton sundresses and pics of themselves clad in itsy bitsy bikinis with a year-round summer glow. Meanwhile, we're stuck in someone's armpit on the central line. Bitter? Us? Never. Your guide to dressing like an "old" Celine devotee: First, open your wardrobe. Next, put on any item of Celine that pre-dates September 2018 (and has an accent on the é). Finally, burn anything printed. This year, the fashion world mourned Phoebe Philo's exit from Celine and wasn't afraid to shout about it. The withering put-down of a hashtag (#OldCeline, which only the fashion industry could come up with) started trending on Instagram, and now it's become a badge of honour for the Celine old guard. PS, if you're wondering where to buy Old Celine, head over to 24 Sèvres for all your throwback needs. You're welcome.